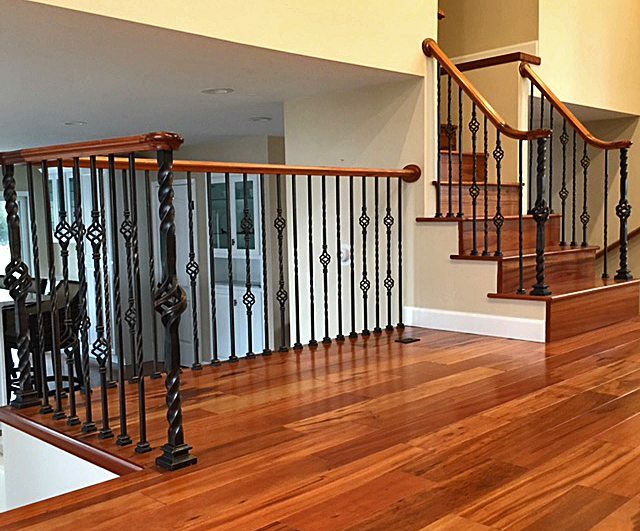 This spacious home uses the elegance of wrought iron balusters and the character of tigerwood handrails to achieve their gorgeous design. 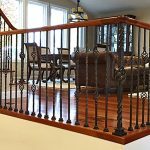 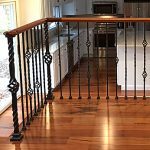 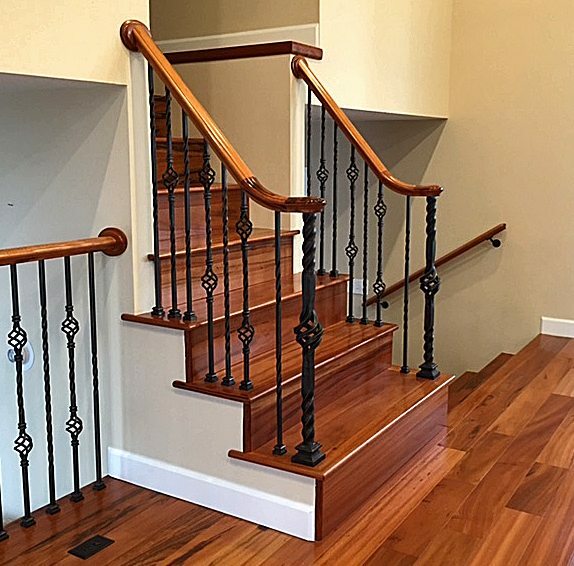 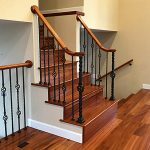 The featured balusters are from the twist series, which is the most popular of our vast selection. 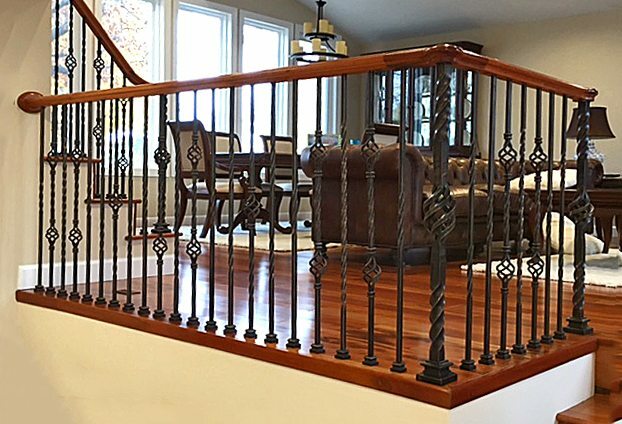 In addition to the balusters, these customers elected to use iron newels rather than wood ones. 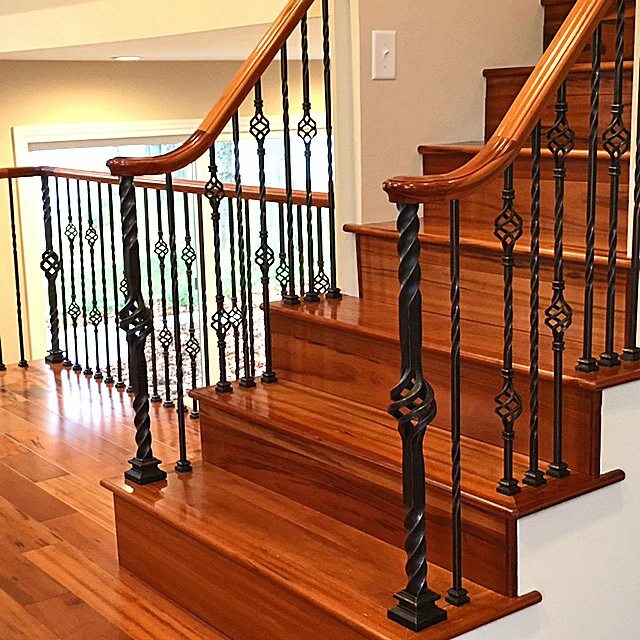 Here the single basket dual twist newel blends in seamlessly with the rest of the design. 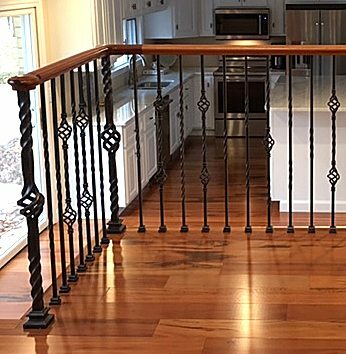 Though from a distance these balusters nearly appear black, they are actually brushed bronze. 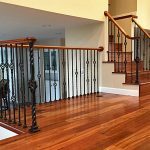 This allows them to fit in harmoniously with the colorful wood floor around them.